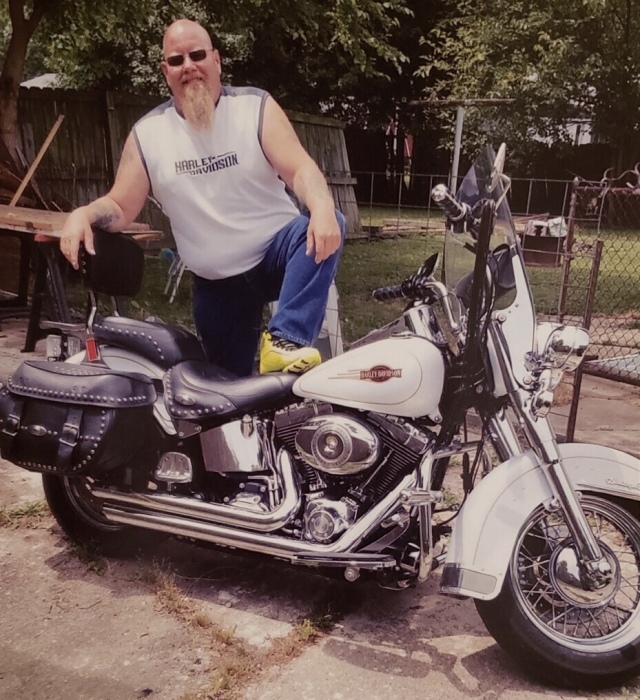 Daren Thomas Everett, age 52, of Fort Branch, Indiana, formerly of Stanford, Kentucky, passed away Wednesday, January 16, 2019 at his residence. Born Friday, December 30, 1966 in Franklin, Indiana, he was the son of the late Robert D. & Louise Yocum Everett. Daren was a carpenter and was a Harley Davidson Motorcycle enthusiast and was very talented at building things. Daren leaves behind his wife, Lisa Roller Everett of Fort Branch; two sons, Johnathan Everett (Julie) of Effingham, Illinois, Devyn Roller (Stephanie) of Columbus, Indiana; one daughter, Caitlin Klatka (Travis) of Myrtle Beach, South Carolina; eight grandchildren, Jasper Everett, Hannah Everett, Liam Roller, Fynnleigh Klatka, Knox Klatka, Belle Fields, Harrison Fields, and Charlie Wolf Roller; two brothers, David Keith Everett (Michele) of Bluffton, South Carolina, and Danna I. Everett (Leigh) of Whiteland, Indiana; one sister, Donna Everett-Valdez (Jesus) of Phoenix, Arizona; and several other extended family and friends who mourn his passing. A Public Memorial Service will be held 2:00PM Saturday, January 26, 2019 at Fox & Friend Funeral Home with Michael Jones, MSA Chaplain, officiating the service. Burial will follow in Buffalo Springs Cemetery. The Visitation will be held 12PM-2PM Saturday at the funeral home. Fox & Friend Funeral Home, Stanford, is entrusted with Daren’s local arrangements. Guest Book at www.friendfuneralhomes.com.